Today’s LIVE is All About Pies! 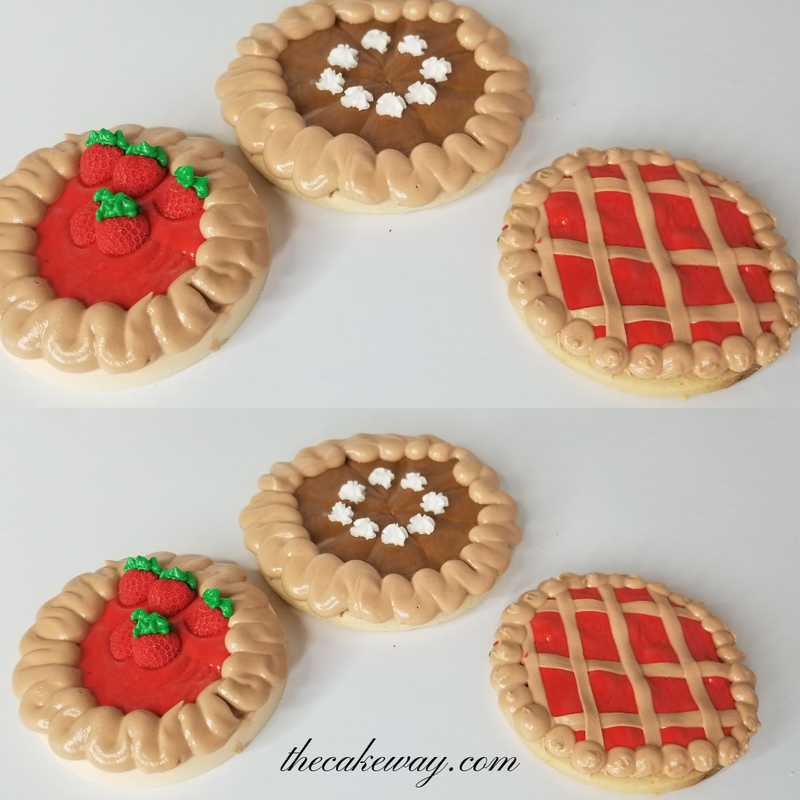 The Colors and Consistencies listed here will not all be used in all the pie cookies. I have a tendency to over-plan so please excuse me here. 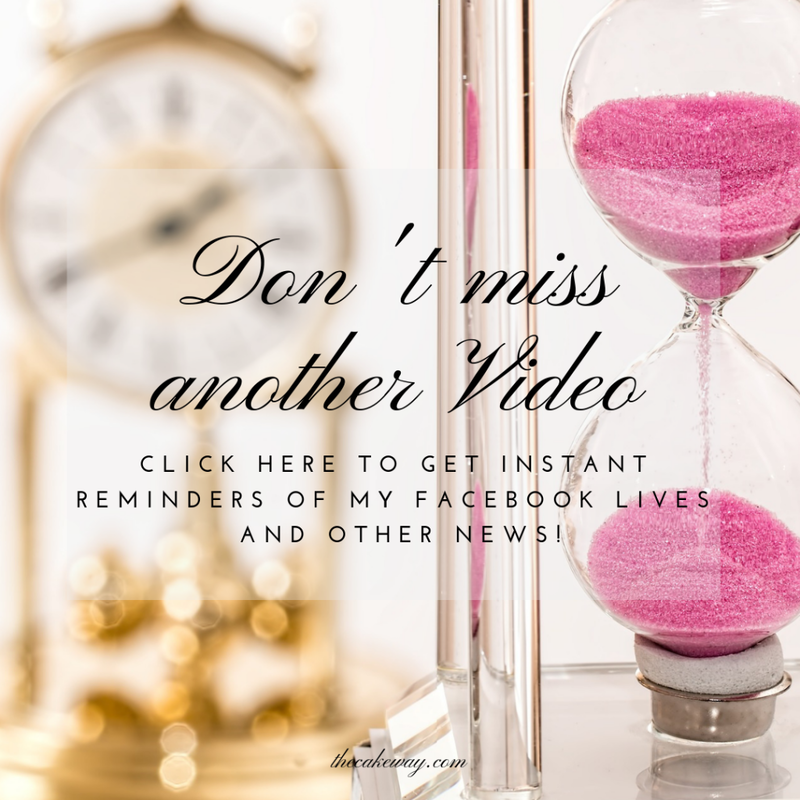 The main colors and consistencies used are red and beige. With that being said, here are the colors that I made available for decorating pie cookies today. 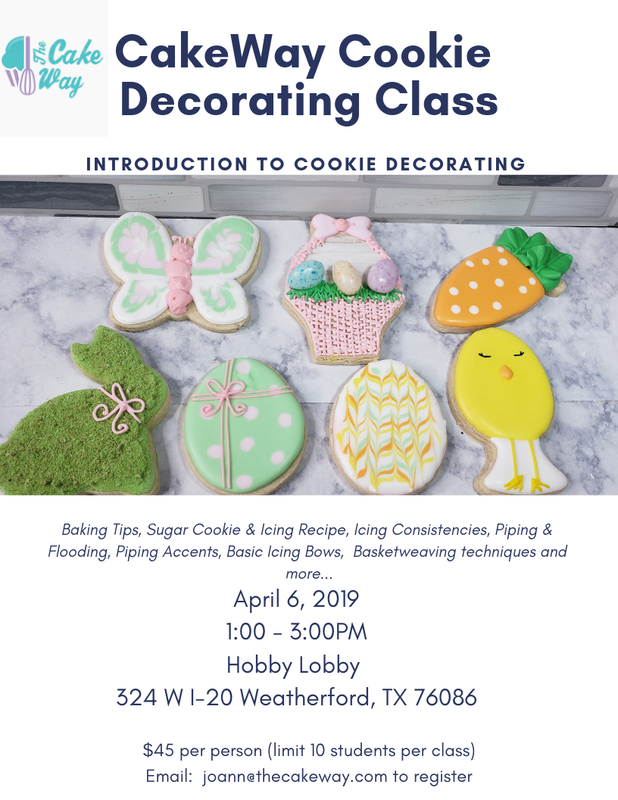 See the LIVE Video Decorating Pie Cookies! 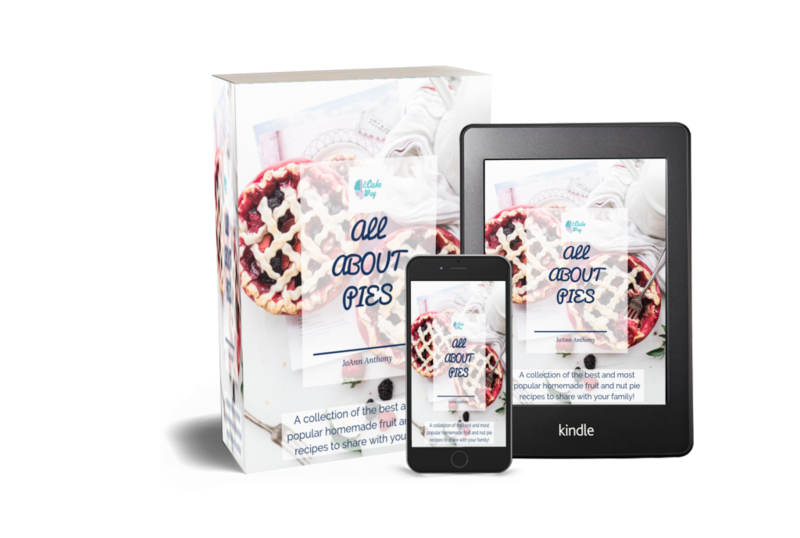 Check Out my ALL ABOUT PIES E-BOOK! 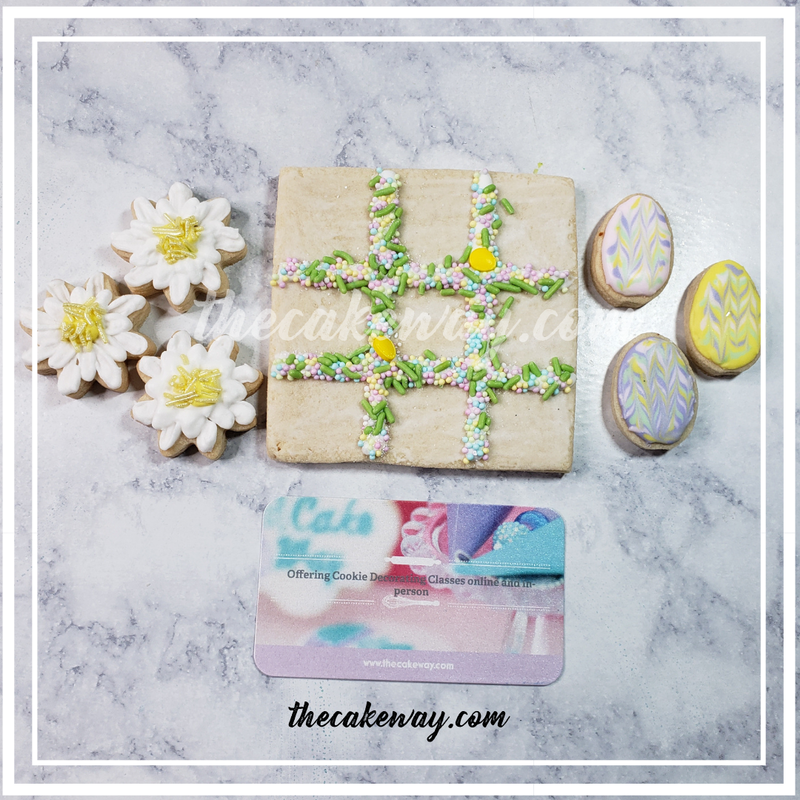 We’re celebrating it’s release TODAY with a Super Sweet GiveAway! 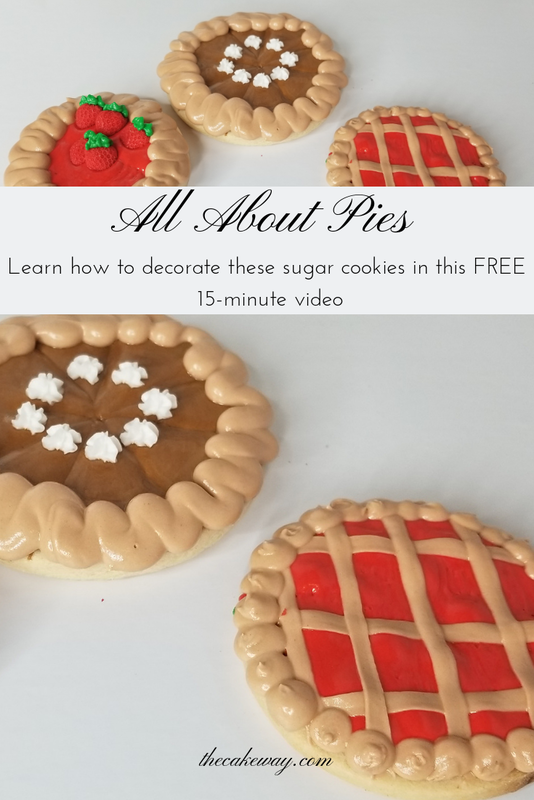 Like this LIVE Pie Cookies decorating video and want to see more? 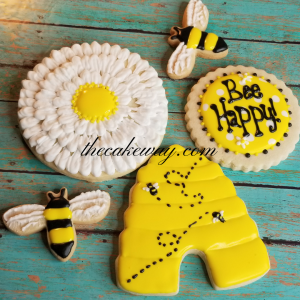 Check out my LIVE Bee Cookie Decorating video here. 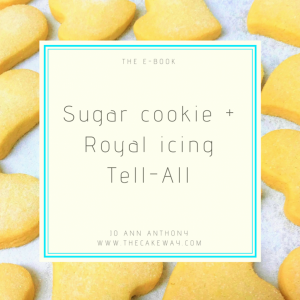 Need good sugar cookie and royal icing recipes? 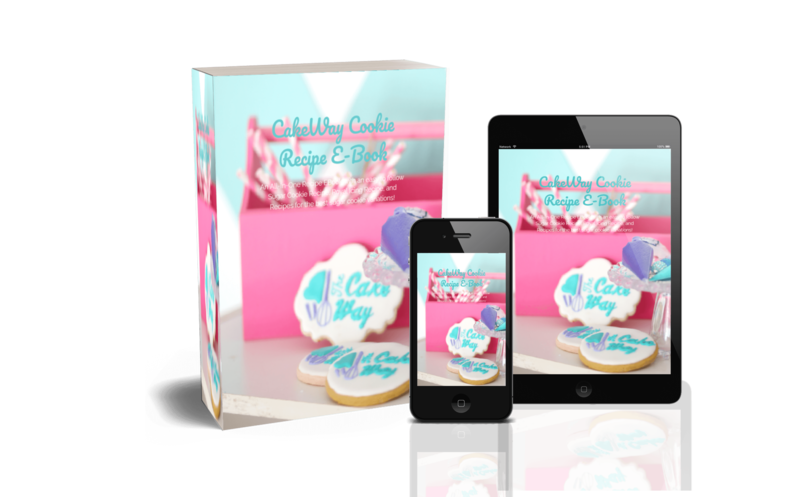 Be sure to sign up and get my FREE e-book containing my tried and true recipes here! 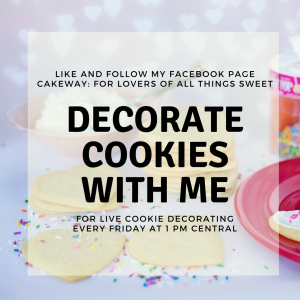 Like and follow me on Facebook to get reminders about the upcoming Facebook LIVE Cookie Decorating Videos!